Staying at the Orlando Metropolitan Express Hotel on International Drive nearby attractions, restaurants and shopping. Florida holidays in June 2017 have 2 main travel periods. There is the Scottish holidays from the end of June ( around the 27th of the month) and for those that are travelling in the Scottish holiday time we have found that your cheapest option is to come down as far as Manchester and fly on a Virgin direct service at almost a third of the cost from Glasgow. For those that can travel anytime in June you are lucky, as Florida in June has it all , great weather, shorter theme park queues and cheap prices, around the beginning of the month is best. with most of the charters flight companies soon to be releasing their regional fares from Bristol, Cardiff, Birmingham and Humberside. 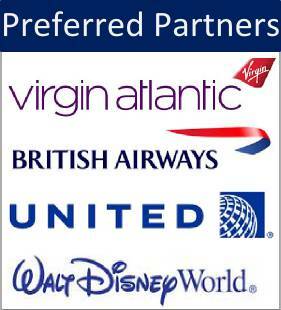 We have low deposit deals for all June 2017 Florida offers with balance due 12 weeks prior to departure. .
Our June 2017 Orlando flights can be on US Airways, United Airlines, American Airlines ,Delta Airlines with some of our best fares on Thomascook and Thomson. 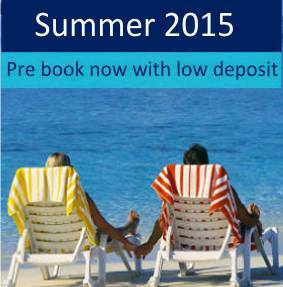 Below we have come up with two June 2017 package holidays that may suit your budget. The First holiday in June we have designed is a couples theme park holiday mixing the theme parks and night life of Universal. Fly out with Virgin Atlantic from Manchester direct and stay at the 5 star Loews Portofino Bay Hotel at Universal Orlando The hotel offers charm and romance only the Italians know how to do, with Italian furnishings at its highest standard, three themed swimming pools and exceptional dining service. Plus of course Universal Studios entrance outside normal opening hours. Our Second offer is flying with British Airways from London Gatwick direct into Orlando for the first week then flying out of Tampa for the second. Thus creating this fantastic 2 center Gulf Coast and Orlando holiday. The first week we have chosen Mystic Dunes which is a short drive from all the action, restaurant and shops and all your theme parks. Then stay the second week of this holiday relaxing at the Outrigger Beach Resort see reviews. Overlooking the fort myers beach. Included with the package is an intermediate 4 door car for the full duration. Impeccable and attentive service, swimming pool and spa all within walking distance of Universal Studios Florida, Islands of Adventure and CityWalk.